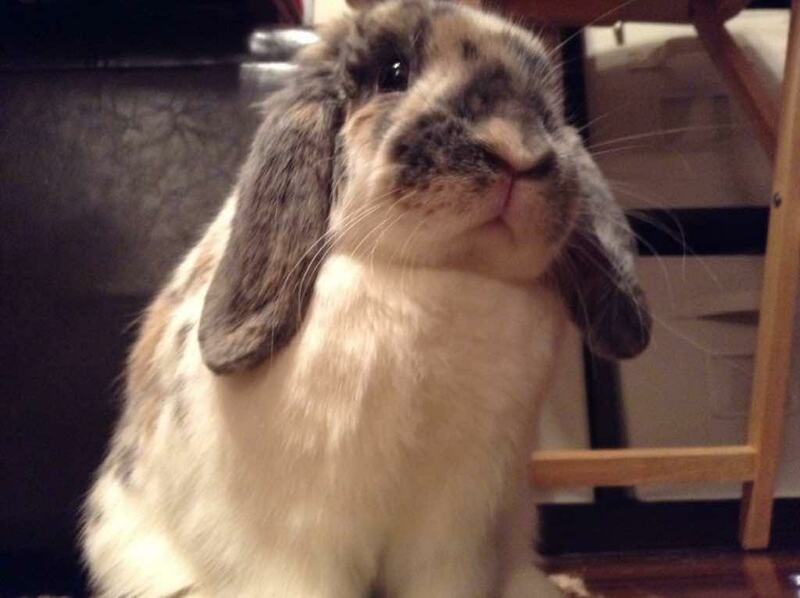 This regal rabbit is Chip! 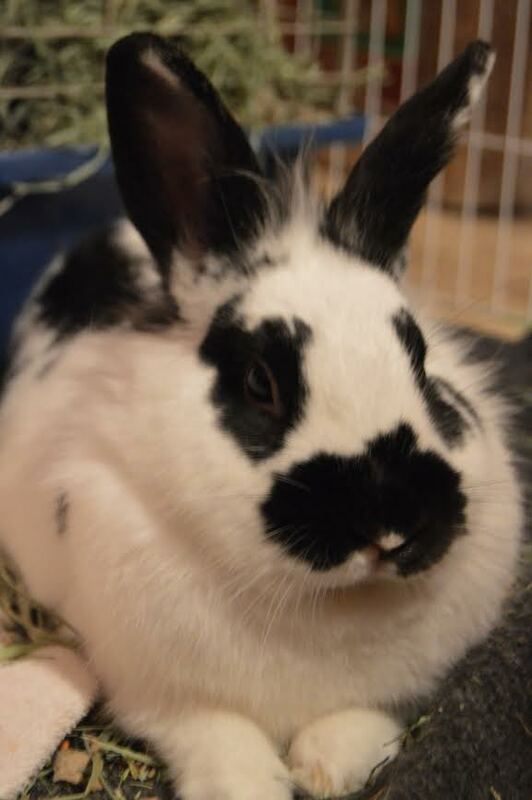 This furry fellow is Bunz! 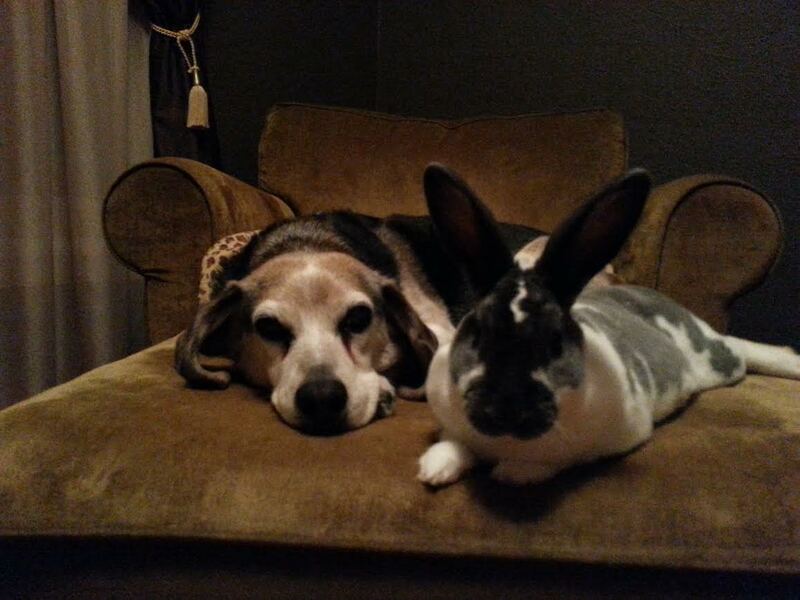 This week’s cutie is Wall-e, posing with his canine pal. 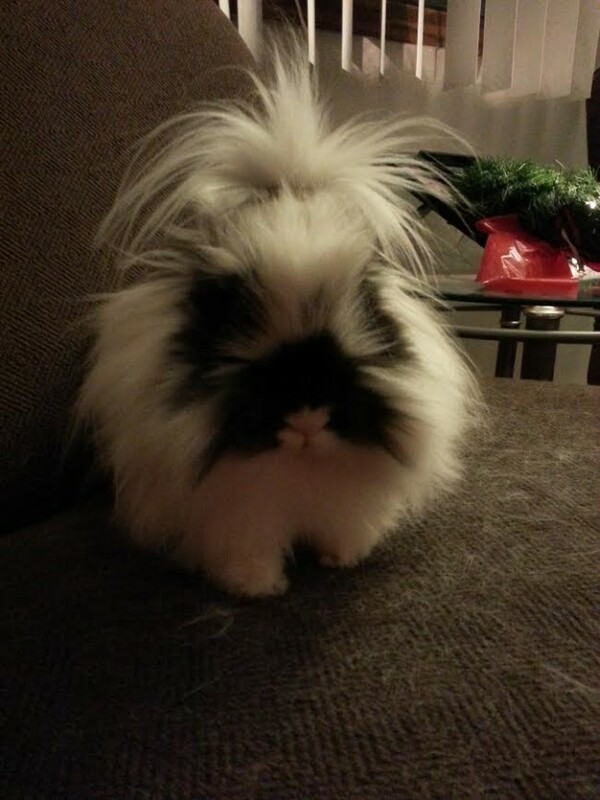 Meet this week’s cutie patoutie: Cornelius! This charming chap is Felix! 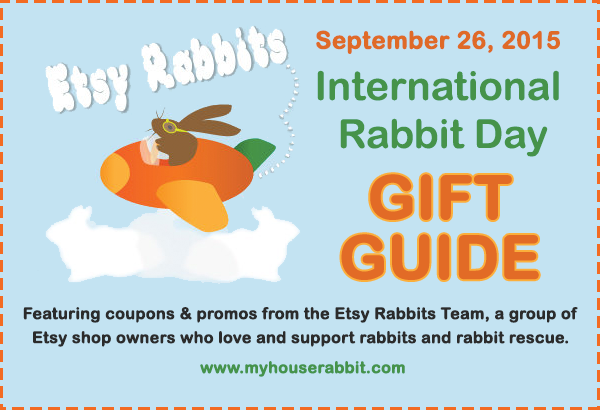 In honor of International Rabbit Day, we have put together a gift guide featuring coupons and promos from the Etsy Rabbits Team, a group of shop owners who love rabbits and advocate for their well-being. 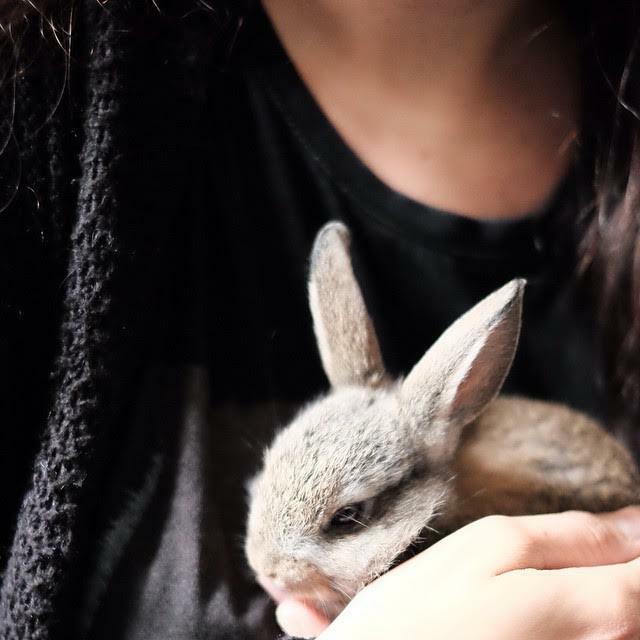 Find bunny lover gifts handmade by bunny lovers! Offering cute bunny nursery art, greeting cards and baby clothes. Use coupon code IRDGIFT15 for free shipping on orders over $25. Expires 10/2/15. Unique glass sculpture & jewellery featuring hares! Custom orders welcome! Use coupon code TEMPT10 for 10% off all orders. Can be used on multiple items. Rabbit-themed decals, stickers, and aluminum signs. Use coupon code IRD2015 for 5% off all orders. Expiration Sept 30, 2015. Rabbit art prints, posters, tote bags, notebooks. Use coupon code IRD5ALL for 5% off entire purchase. Expires on 30 Sept, 2015. Handmade greeting cards for all occasions. 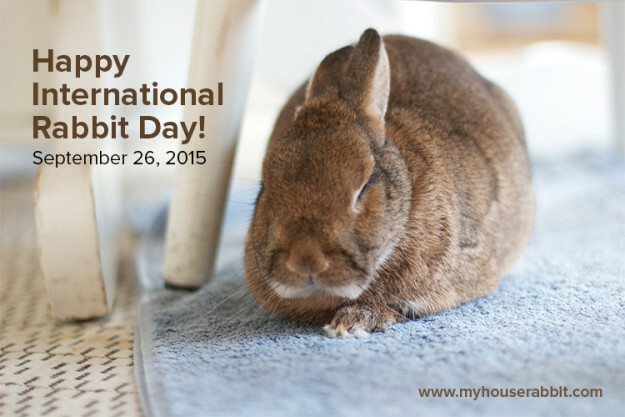 Use coupon code RBRR15 for 15% off + all proceeds donated to Red Barn Rabbit Rescue – Valid all of September. Unique out of this world whimsical resin jewelry for girls age 5 to 105. Use coupon code 4BUNNIES for 10% off purchase of $10 or more through Sept. 30th. Bunny Rabbit & Floral Jewelry, Phone Charms, Dust Plugs & More. Use coupon code IRD2015 for 10% off orders over $10 from 9/20 – 9/30/2015. Rabbit + Attitude = Cute Colorful Bunny Fun. Use coupon code IRD2015 for 10% off orders over $10 from 9/20 – 9/30/2015. Handmade greeting cards and art. Use coupon code IRD10 for 10% off all purchases, donated to Great Lakes Rabbit Sanctuary. Valid September 20-30, 2015. The art of illustrator Hannah Spiegleman, featuring prints, greeting cards, and jewelry. Use coupon code JOLLYGOOD10 for 10% off all orders. Expires September 30, 2015. Colorful art prints & cards. Use coupon code BUNNYRABBIT2015 for 15% off everything purchased over $ 15.00. Expires November 20, 2015. Rabbit, Hare and colourful animal prints and mugs. Pretty pillows. Use coupon code Rabbitcode1 for 20% off orders over £40.00. Valid all Sept. Handmade and vintage jewelry, craft supplies, and rabbit toys. Use coupon code IRD2015 for 40% off orders of $30 or more. Expires September 30. Fun Bunny Rabbit and Nature Inspired Jewelry. Use coupon code IRD2015 for 25% off your purchase. Offer expires September 30th. Quality handmade rabbit specific beds and more. Use coupon code TENPERCENT1 for 10% off. All profits go to help our rabbit and bird rescue sanctuary. 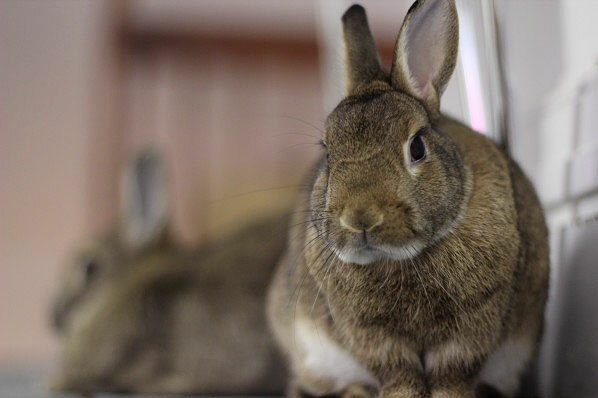 Over 100 bunnies rescued since 2010! Functional sculptures, ceramic pet products, and other art like coloring book pages. Use coupon code IRDLOVE for 10% off all orders. Expiration Sept 30, 2015. Offering cute fabric phone cases and fabric pouches. Use coupon code IRDBUNNY for free shipping on all orders. Coupon expires 31 Dec 2015. Crocheted goodies for people and pets. Use coupon code IRD2015 for 10% off all orders, valid through 9/29/15. 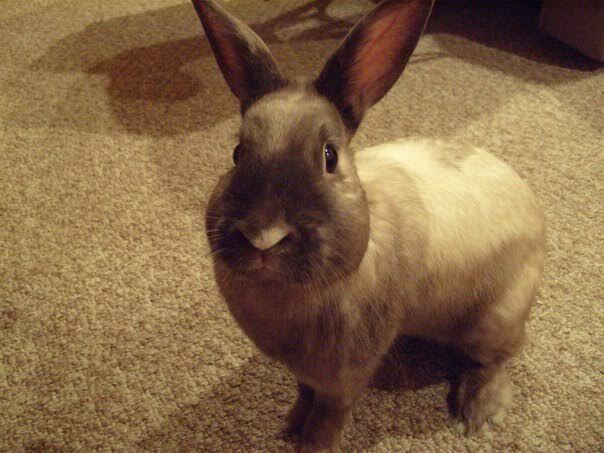 15% of all rabbit accessory sales is donated to Magic Happens Rabbit Rescue. Etsy Rabbits Team is an international team of buyers and sellers. We are artists, designers, crafters and collectors who love to celebrate the wonderful lives of wild and domestic bunny rabbits and hares. 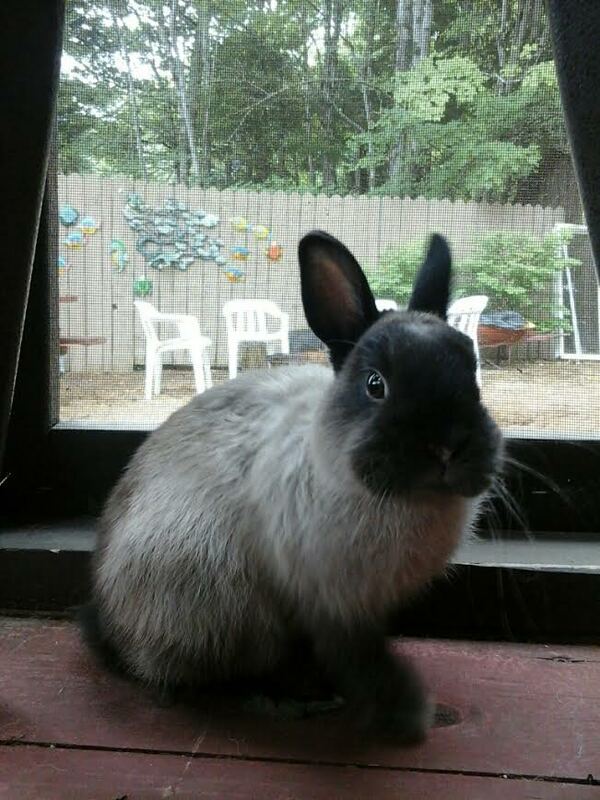 This handsome fella is Mr. Bunni.